On paper, the OnLive game system seems like a revolution in gaming: instead of using your own console or hardware to play games, OnLive's servers sync and render gamplay on their own servers and stream it back to you in 720p. This would theoretically allow you to play any game you wanted at high settings, regardless of your available hardware. OnLive's taken the chance to expand from an initial PC experience to include their own microconsole; however, it looks like they're expanding to the Android tablet market, as well. 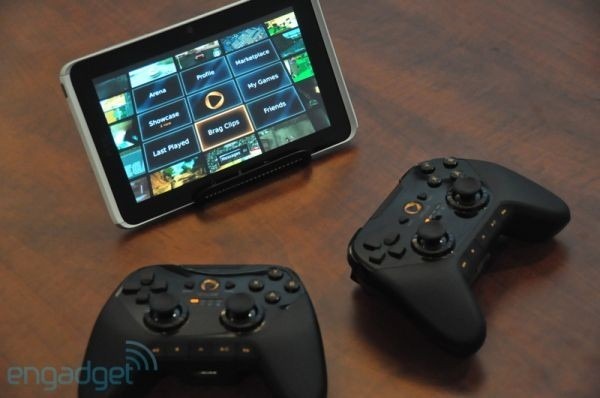 The company is expected to showcase their new universal controller at the upcoming E3 conference, but Engadget has a video demo of it in action with an HTC Flyer tablet. The controller connects directly with your Android tablet, allowing you to control games as if you were playing from a console. The universal controller also features a dongle that will be backwards compatible with the microconsole, and will work on PCs and certain TVs. The service also touts a fairly robust social element, allowing you to spectate users in real time, regardless if they're playing a multiplayer game or not. OnLive also allows you to take a "Brag Clip" of your favourite exploits to show off to your friends. Facebook seems to be a major component of this social element, with users being able to share the Brag Clip on their walls, have their friends notified of when they start playing and provide a link to watch, as well. From the video, it looks like PC-quality gaming on an Android tablet will be a relatively painless experience, if the quality is to be believed. Check out the video in the link below to check out some spectating of Just Cause 2, and a demo of Virtua Tennis. 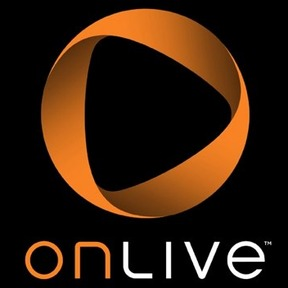 A full list of OnLive titles are available here.